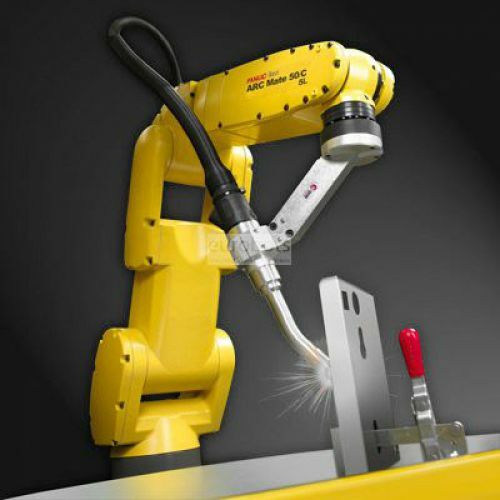 ARC Mate 50iD / 7L Robot for wider reach welding of 911 mm. The architecture of its lightweight and slim arm increases speed and improves access to materials, This robot has a large work area as I was able to make a turn back. With degree of protection in IP67 wrist for work in environments with water and dust and optional the IP69K.